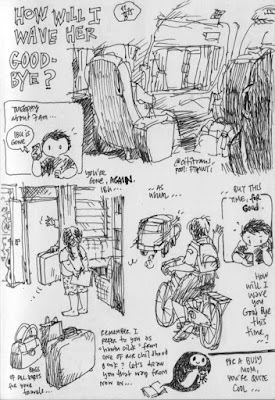 In the previous blog entry, I featured Xin, a local artist whose comics are like diary entries. This particular form of comics is rather popular among indie female comic artists these days - personal and confessional in a short story. We have longer autobiographical stories like Alison Bechdel’s Fun Home (2006), Carol Tyler’s You’ll Never Know (2009), and Miriam Katin's We Are On Our Own: A Memoir (2006) and Letting It Go (2013). Miriam will be at the Singapore Writers Fest next weekend. But in Asia, the short story form in telling personal stories has taken root. 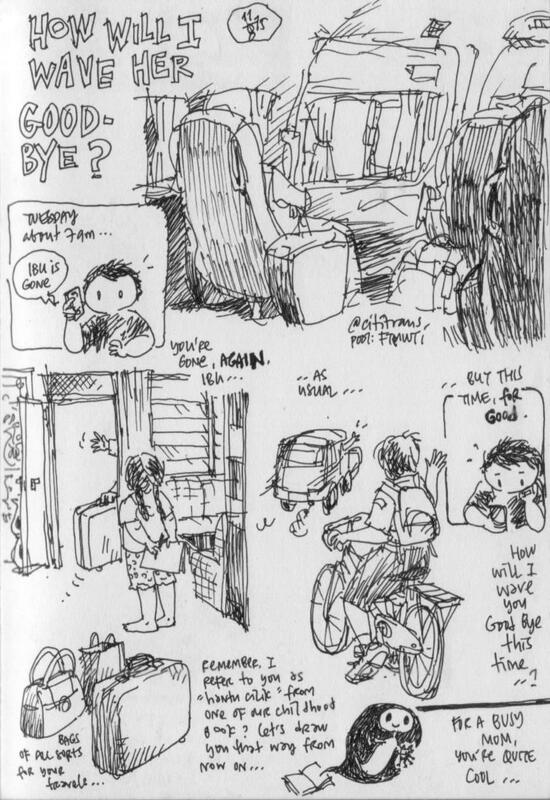 In Japan, we have the essay manga while in Indonesia, we have the graphic diaries. 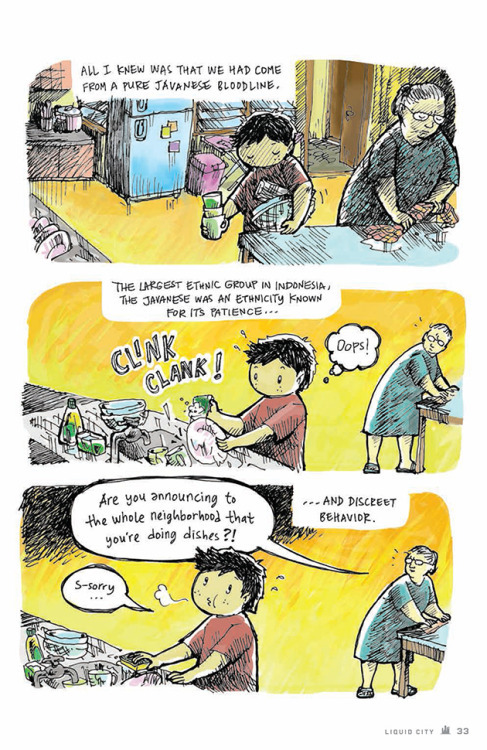 You also see similar examples in Thailand and Malaysia (the comics of Sarah Joan Mokhtar and the travelogues of Mimi Mashud, which is a slightly different genre). Of course, this form is not exclusive to female artists. In Singapore, we have the Ollie baby stories by dreamscape and the urban sketching trips of Favian Ee. One of the pioneers of the graphic diaries from Indonesia will be coming for the SWF, Tita Larasati. 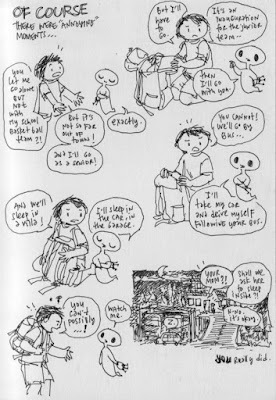 Together with Sheila Rooswitha, Tita started doing graphic diaries in the 2000s. 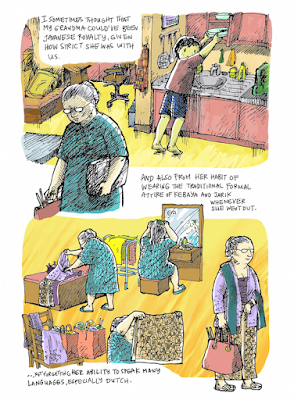 In 2008, Tita and Rony Amdani set up CAB to publish graphic diaries. Their first titles were Curhat Tita by Tita and Cerita si Lala by Sheila. Both of their stories have appeared in the Liquid City volumes, the anthology of Southeast Asian comics published by Image Comics. 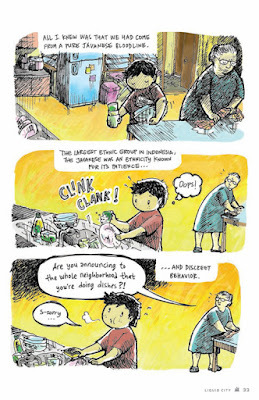 Sheila did a family road trip story in Vol 2 while Tita wrote about her grandmother in Vol 3. Recently, Tita's mother passed away and she has been remembering about her ibu in short graphic diary entries which she posted on Facebook. 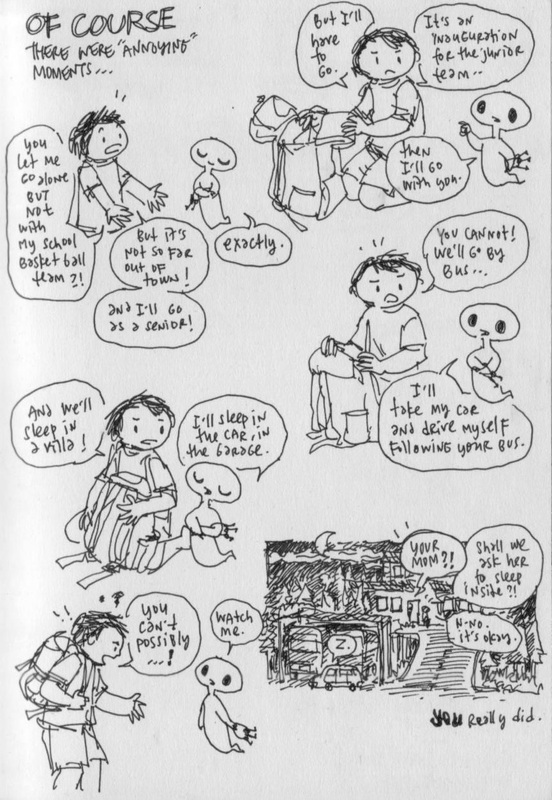 At SWF, Tita will be appearing on a panel with Miriam about Drawing To A Close, on graphic novelists wrestle with the concept of personal loss and trauma - how they depict painful memories, and how the process helps them seek closure. Tita has come to Singapore several times for STGCC and other personal trips. But this will be the first time she will be speaking about her personal comics. Do check out her panel with Miriam.